When your pet is scheduled for surgery at Bassler Veterinary Hospital, his or her health and well-being are our top priority. Our hospital is equipped with a state-of-the-art surgical suite, including separate patient prep room and positive pressure operating room. This helps keep the O.R. clean and your pet’s surgery sterile. 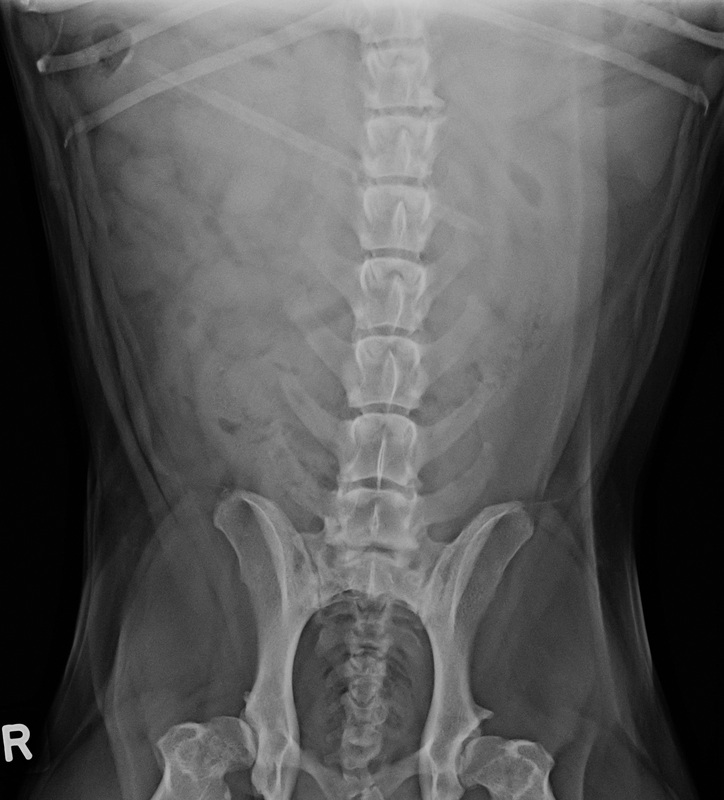 We perform routine surgeries such as spay and neuter, as well as non-routine procedures such as mass excision and biopsy, bladder stone removal, and intestinal surgery to retrieve ingested objects. It was a knitting needle! On the top is the chewed off piece of knitting needle. 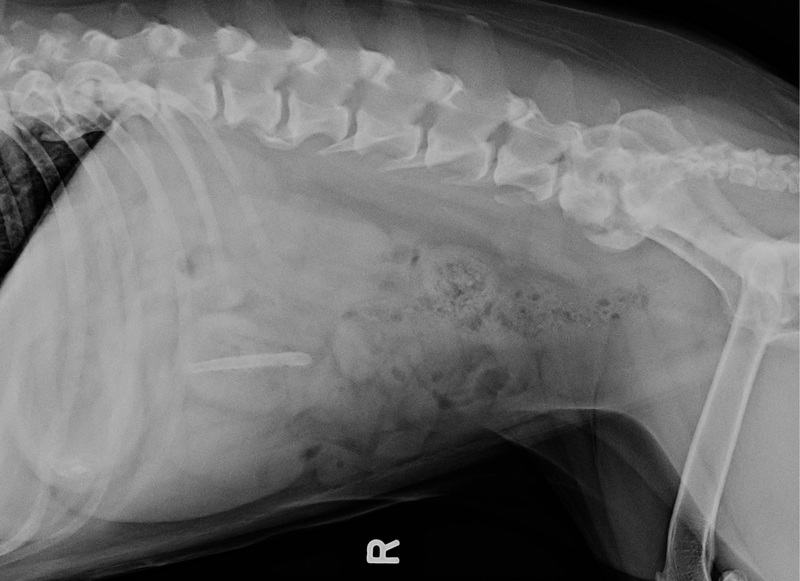 Also in the picture is the matching needle that the dog's owner found at home.